Dean Ralph N. Norvell stands at the north side of the George Mason University School of Law building at 3351 North Fairfax Drive, Arlington Virginia. This building was originally a Kann's department store before the International School of Law acquired it in 1975. This photo was taken roughly two months after the merger of the International School of Law and George Mason University in March of 1979. 8" x 10'" photograph print; black and white. 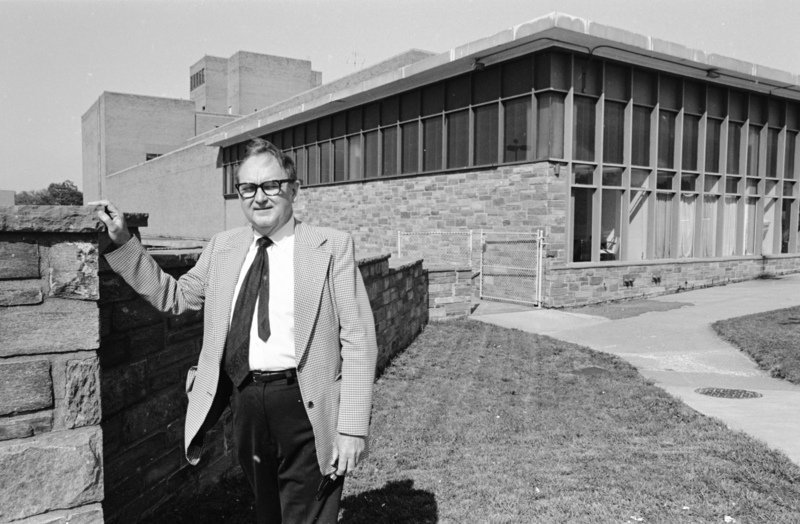 Citation: George Mason University , “George Mason University School of Law Dean, Ralph N. Norvell in front of the School of Law building ,” A History of George Mason University, accessed April 23, 2019, https://ahistoryofmason.gmu.edu/items/show/192.